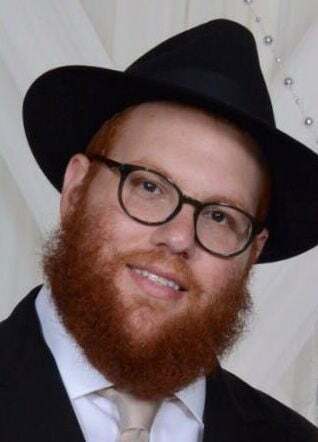 As a child growing up, I remember hearing the story of Rabbi Levi Yitzchak and Rebbetzin Chana Shneersohn celebrating the marriage of their oldest son. Living in the Soviet Union, they were not granted the necessary visa to join the wedding party in Warsaw, and instead celebrated with their community at their home. Fast forward 75 years, my grandparents, unable to attend my older brother’s wedding, participated via Skype, watching, enjoying and celebrating with the family. The advancement of technology has enabled some amazing things to be possible. You can join other like-minded people across the globe for a conference, video chat family in distant communities and inspire people anywhere in the world with an email or post. Technology has discovered new cures for thousands of illnesses, bringing comfort and hope to situations that in the past were hopeless and extremely risk laden. Yet, as the Midrash states, “zeh leumat zeh” — God made “this corresponding to that.” In Tanya, Rabbi Shneur Zalman of Liadi explains, that for everything good that was created, there is an opposing bad. In other words, the same advancements of technology that have created and brought such good to the world, have the ability to cause the opposite as well. As a society, we see the ruin this continues to cause. The ease of spreading hate, hurt and slander is unfortunately tapped into all too often. We miss hours of quality family time trying to please and impress “friends” we will never see or know. The platforms created for spreading joy and love, bringing friends and families together, are also breaking up families and ruining friendships. A Jewish staple of Emuna, belief in G-d, is the eternity of the Torah. Chasidic philosophy teaches, that because the Torah is eternal, its lessons are eternally practical, with living lessons for us in our daily lives. This is not the family time G-d wanted to spend with us. One of the beautiful aspects of Shabbat is the Friday night dinner. For thousands of years, our ancestors have put aside all things busy and come together on Shabbat. Joining together as a family and community to celebrate G-d and the life He gifts us. We were gifted Shabbat by G-d as a day to recharge from the pressures of the work week. Shabbat is a day to focus on things that really matter. Does it matter that I got 2,000 likes on my Insta story or that my child went to bed knowing that I love him? Does it really make a difference if I have a bigger bank account than my friend or that my family is always there for each other? Rabbi Dov Levertov is director of the Chabad of Phoenix.